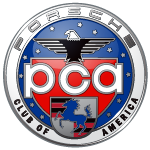 We are the Rocky Mountain Region (RMR) located within Zone 9 of the Porsche Club of American (PCA). We were chartered in May of 1958 and currently enjoy a membership of 2,600+ Porsche enthusiasts which spans Northern Colorado, Southeastern Wyoming, and the Southwestern tip of Nebraska as well as a few members in Western Kansas. To read more about our history check out our History page. The club offers many different types of events throughout the year. You can have fun with your Porsche at our social events, car shows, car clinics, tours, rallies, or competitive events such as autocross and time trials at area tracks. Also, every March we put on a New Member Orientation and Member social. This is a great event to learn about the different type of events while meeting and learning new things with fellow club members. Our monthly membership socials are usually held the first Thursday of the month at various locations. Please refer to the calendar for the details or look at the upcoming events on the home page. Along with our website, we have a Facebook page (Porsche Club of America – Rocky Mountain Region) where members can ask questions about a project they are working on with their car, ask for advice, sell parts, as well as share information relating to Porsche. We also have our award-winning monthly newsletter HighGear, which is filled with information about upcoming local and national events, local advertisers, and much more! To become a National PCA/RMR member, please fill out the on-line registration form on the National PCA site, www.pca.org. You will see a section where you will scroll through the regions until you find the Rocky Mountain Region. Select our region and finish your form. Make sure you have your VIN(s) for your Porsche vehicle(s) as well as a credit card available when you sign up.